Sure, we're known for metal, but what other music has been produced here (and in the wider West Midlands) that should also be recognised? This month’s event was hosted by OTR regular Andrea Breau, who described herself as a professional communicator and self-professed music geek. Our theme was “Forgotten Sounds of Birmingham” – sure, Brum is known for metal (which is no bad thing), but what other music has been produced here (and in the wider West Midlands) that should also be recognised? Andrea chose this theme to help recognise wonderful musicians from our corner of the Midlands, including the ones who died before their time. 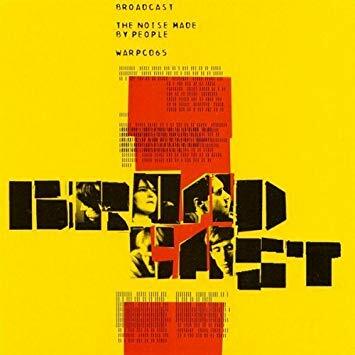 The album was “The Noise Made By People” by indie/electronic band Broadcast, who started right here in Birmingham. Founding member Trish Keenan died unexpectedly after a short illness as she was arguably coming into the height of her powers. The album is only twelve tracks long and serves as an understated, restrained introduction to the band who were picking up lots of radio play for single “Come On Let’s Go”. We sat and listened as Trish’s wistful, sometimes robotic-sounding vocals layered over the synthesisers and drumbeats, alternating between melancholia and “shimmering” (as one attendee described it). The album was well-received by the audience, rating it 7.6 / 10 and using words like “unease”, “cyberfolk”, “warehug”(!?) and “enchanted” to describe its feeling. A fair few attendees were already familiar with the band and hailed their later work as being more interesting, but overall it felt like a good introduction to one of Birmingham’s sadly-missed groups. It was over to the attendees to share their songs for the theme – here’s what they played. That wrapped up an evening of Birmingham/West Midlands-based music that most of us hadn’t heard before – a great theme and a great album. See above to see who nominated each song which matched our theme, "Forgotten Sounds of Birmingham".